Reberty is a top destination for skiers in France, with plenty of amazing runs for visitors to enjoy. These range from routes designed for beginners to more challenging terrain, with all of the areas looking truly picturesque. The resort is a lovely base at altitude, offering fantastic snow quality in the Three Valleys ski area. Overall, there are seven skiable peaks over 3000m, providing unbelievable thrills that are sure to not be forgotten. The resort itself is one of the top up-and-coming options in France, with a laid-back vibe and marvellous hospitality. Look forward to a host of amenities and fantastic restaurants, ensuring visitors have all they need for a majestic winter stay. Pretty Reberty Village, situated at 2000m, is halfway between Val Thorens and Les Menuires in Les Trois Vallees ski area. The village is a well-designed new development built along traditional lines and to high standards. Just a few kilometres further up the valley from Les Menuires, Reberty has a good ski in, ski out functionality. While the skiing here is truly wonderful, the overall feel of the resort is what makes it so special. If a relaxing stay in beautiful surroundings is what you are looking for, Reberty should be top of your list. The ski season runs from December to April, with plenty of well-maintained runs for visitors to choose from. There is a wide variety of amazing runs for visitors to explore across the resort. No matter what your ability level is, there is sure to be runs that will suit you. Les Menuires is a good gateway into famous Les Trois Vallées, which has some of the best Alpine skiing. 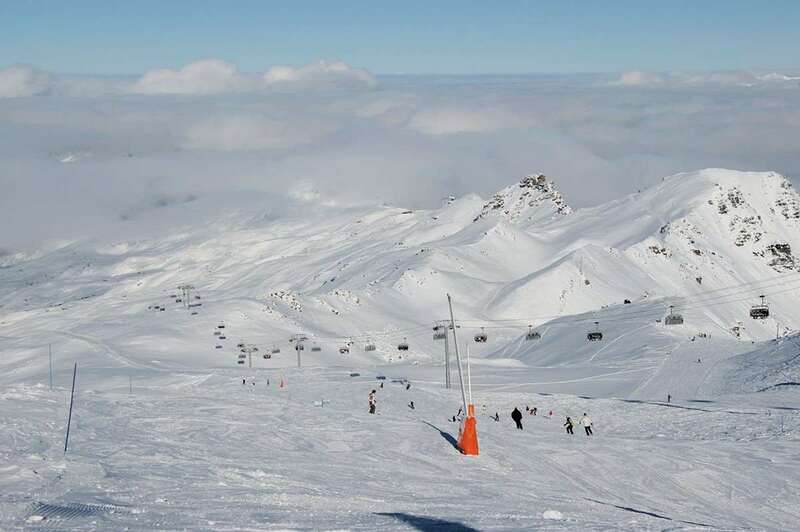 One of the most extensively linked ski areas in the world, The Three Valleys has a massive 600km of pistes. There is a great choice of terrain, making it suitable for all levels of skiers and boarders. Located at a high altitude, Les Menuires usually has some of the best snow conditions to be found in France. Access to the well-known resorts of Meribel and Courchevel is easy, and there are many restaurants and bars on the slopes in all ski resorts. Sitting in the middle of the expansive Three Valleys ski area, there is a magnificent assortment of routes, with easy access to all of them through the resort’s lift pass. 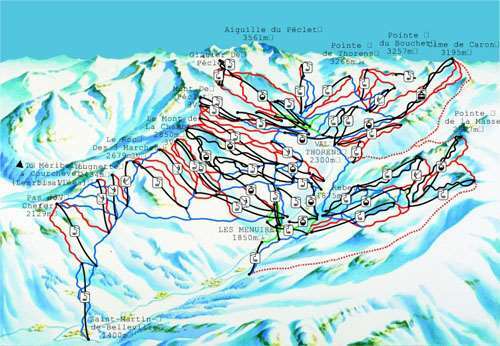 There is easy access to more than 600km of piste from Reberty, with Meribel and Courchevel also offering plenty of excellent runs within a short distance. Away from the runs, there are some fantastic facilities to look forward to, especially in the nearby Les Menuires. Look forward to a swimming pool, jacuzzis and a host of amazing restaurants. In Reberty, La Ferme de Reberty and Les Bruyeres Le Chouette are great options, providing a host of mouth-watering drinks and a wonderfully relaxed atmosphere. The closest airport to Reberty is Chambery, which is around 90 minutes away by car. This chalet was hosted by Joanne and Wojtek whose food was great and nothing was too much bother for them. Comfy, well run chalet which could only be improved by a ski rack and maybe boot warmer. The rep, Simon, was outstanding too, making sure everyone got the most from the week and showing groups round the best of the ski area. Reberty is part of Les Menuires and Val Thorens area with plenty of great skiing from blue to black, but also easily links to the Three Valleys with more skiing than we could fit into a day, even having covered more than 80kms one day. Snow conditions were good and we would rush to go back given the chance. Brilliant holiday. 1 of 1 people found this review useful.